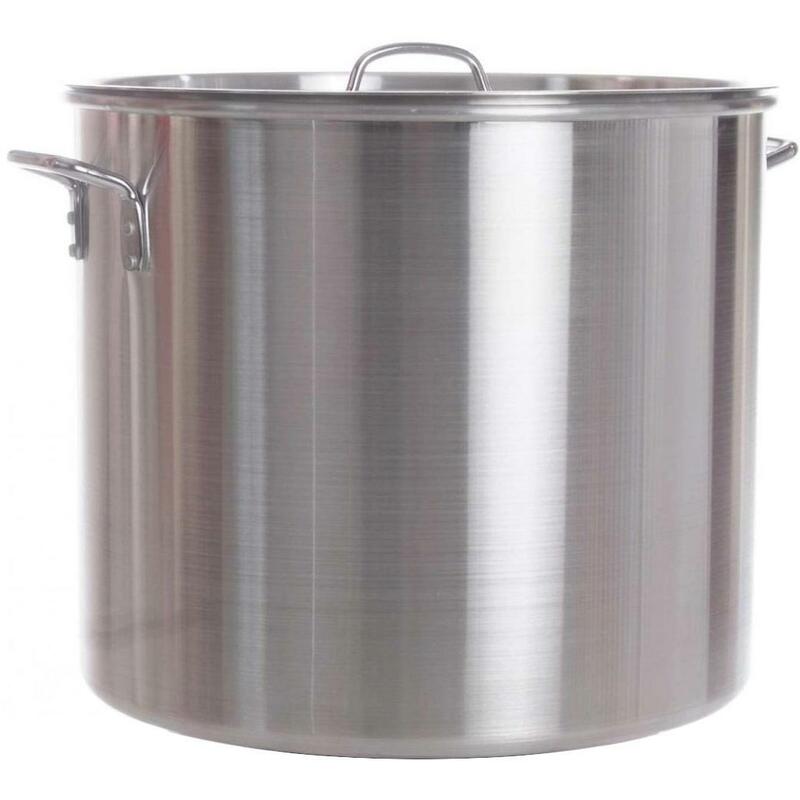 Product Description: Cajun Cookware 80-Quart Aluminum Boiling Stock Pot - GL10174. 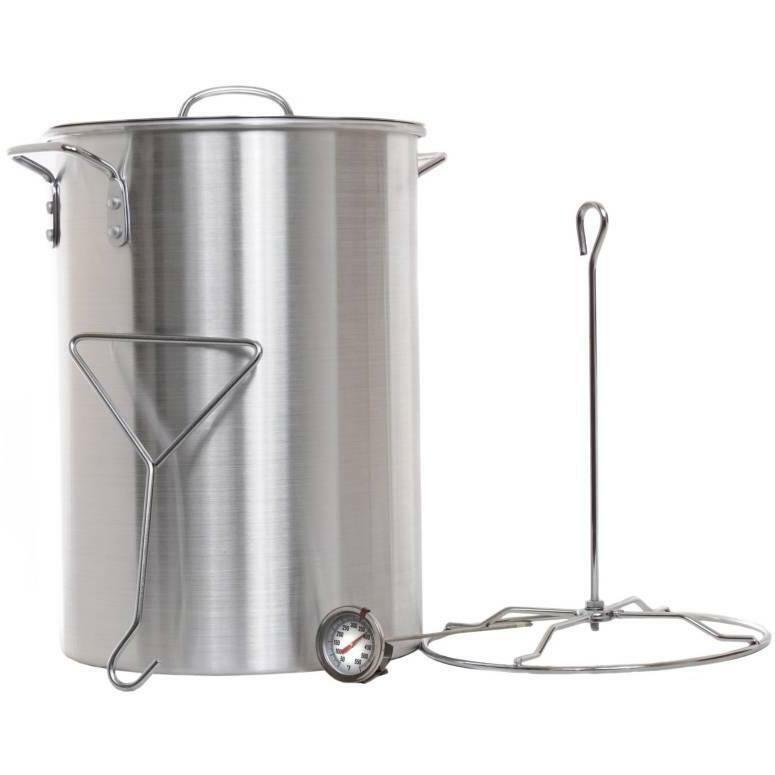 The Cajun Cookware stock pot includes a 80 Quart aluminum boiling stock pot, lid, and basket. The Cajun Cookware stock pot measures 19W x 16. 5H.